Hello, welcome to the May SOTM blog hop! If you arrived here from Jen's Blog, then you are on the right path. Should you get lost along the way, please see Melinda's Blog for a list of participants. Anyway, to complement the use of arrows on the bottom, I stamped a couple of triangles and put them at the top of the page and pointed them downward like arrows. The arrows (triangles) at the top, point to the sign 'dining hall', which was one of daughter's favorite places while at camp. On the left hand side, the blue 'Life is good' is a sticker and I stamped a 'Full of Goodness' arrow in Barn Red. Yes that is stamped! And, what is nice is that you can reuse this stamp on other pages! Just change the ink to match the paper you are working with. Below is a close-up. For the tree-bark, I used CTMH's Artbooking Cricut cartridge. Psst.... if you do not own this cartridge, then you need to get it, as it is a must have for scrap-bookers!! I used Art Philosophy to cut out the circle. I love deer and used a die for this image. Well thanks for stopping by. If you don't have a consultant, then please contact me. Hello, here are the last 3 cards that make up the rest of the Brushed Spring Card Class. I really enjoyed creating these cards! I started with the April showers and then moved onto some flowers. 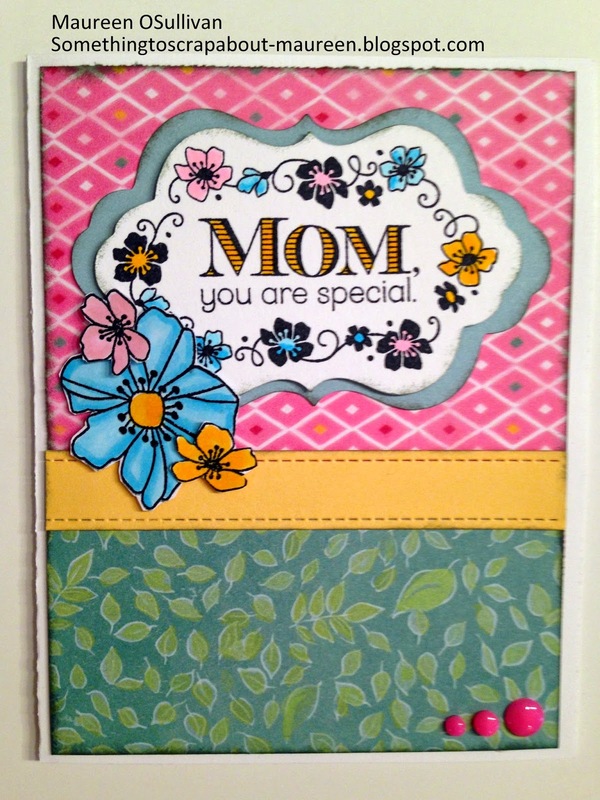 The card below makes a beautiful card for a special mom. Mother's Day is quickly approaching-- May 10th. 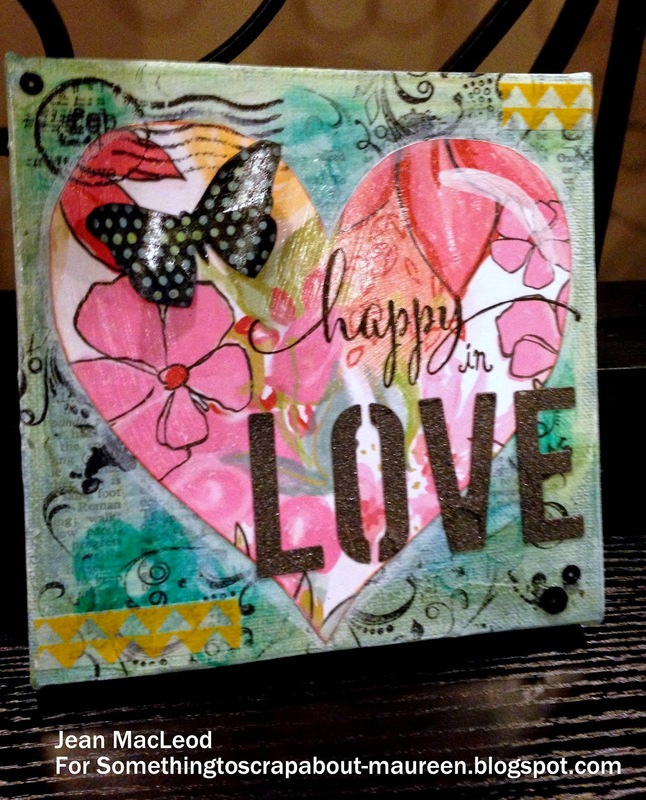 The stamp set is from the Seasonal Expressions 1 catalog and the stamp is called: Flowers for Mom. 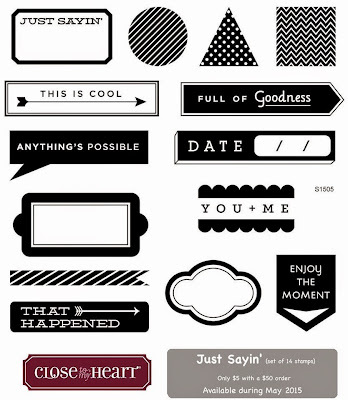 It's a darling stamp and is priced nice at only $9.95. To color it in I used the CTMH ShinHan markers and topped it off with Flamingo pink epoxy dots. 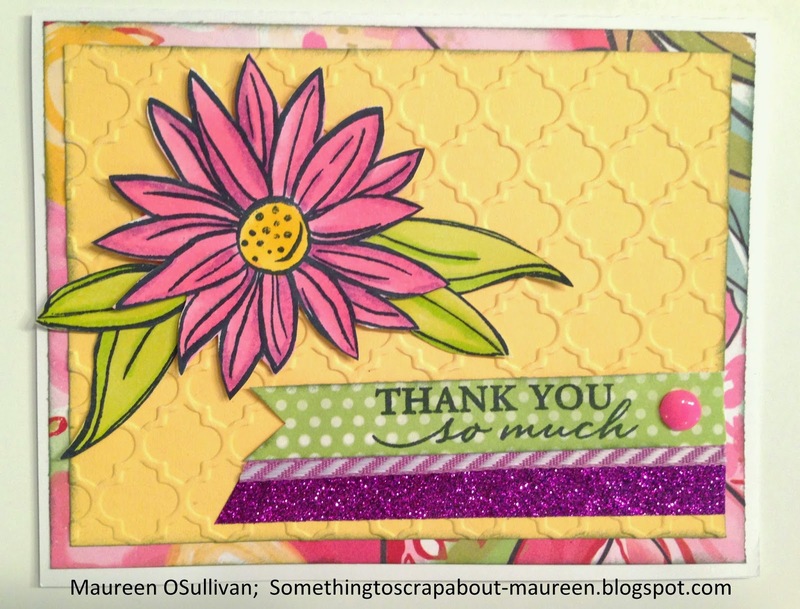 The second card was based on a design that a fellow CTMH Karen Peterson used. I just love the design! The stamp set, Lovely Birthday, also has a happy birthday sentiment that you could stamp on the front of the card. I choose to stamp have a lovely day instead. I may give this card out as a thank you note and stick a gift card inside. 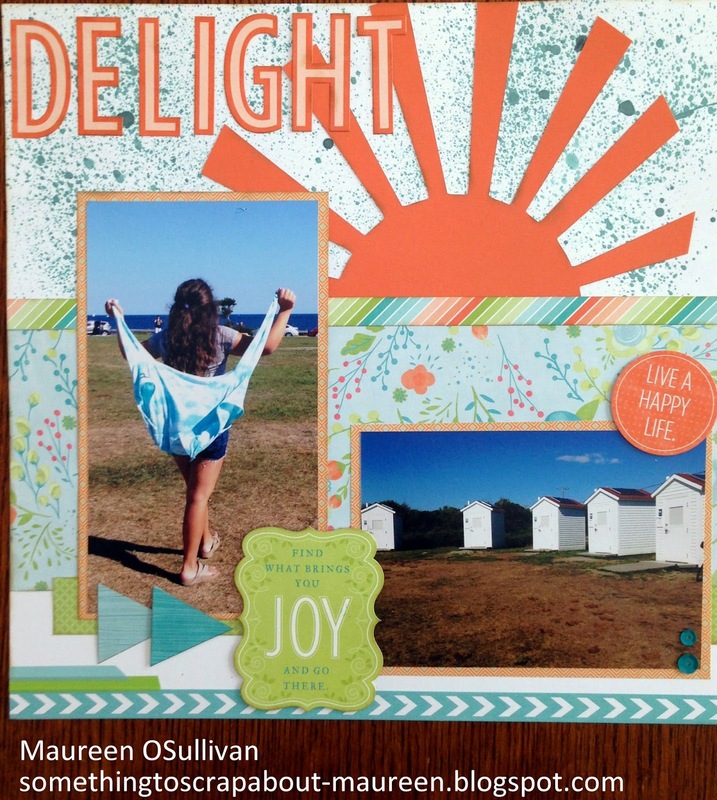 The third card was based on card that we created during a CTMH retreat. I just used a different paper pack. To color in the flower, I used the a pink and a purple marker. Below is a look at all six cards. The card kits come all cut out and ready for you to assemble. The card kit only costs $15 if you are attending the May 9th crop or if purchase $25 in products. Embossing Folders: Vine; Stripped; and Quatrefoil. Hello, you know that saying... "April Showers bring May flowers". When it rains in April that's what I tell myself...let it rain, because sunshine and flowers will come! 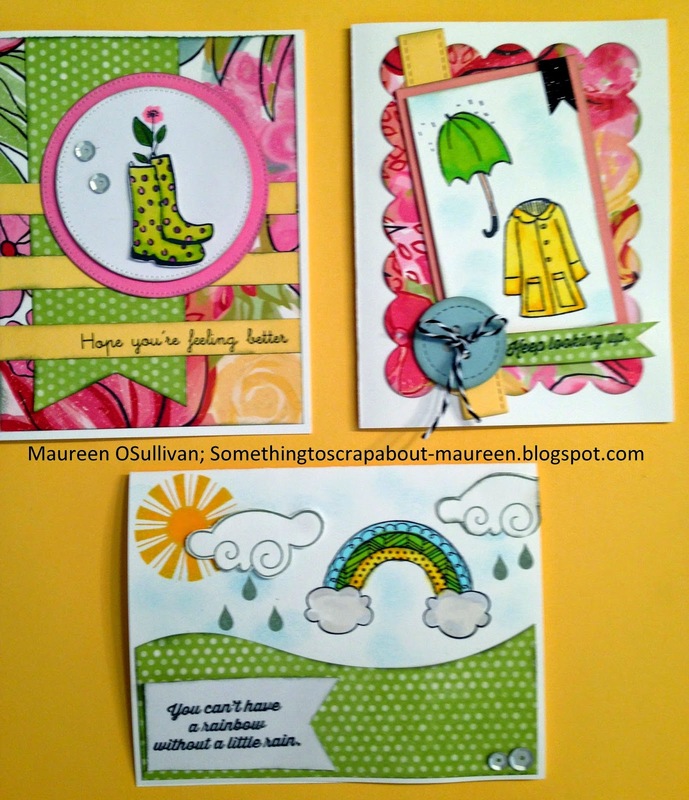 Yesterday, I shared a card using CTMH's 'Rainy Day' Stamp set. I'm back today with another card from the same set. This time, I stamped the rain boots and colored them lime green with pink and purple polka dots-- how festive! I choose to stamp a flower coming out of the boot. 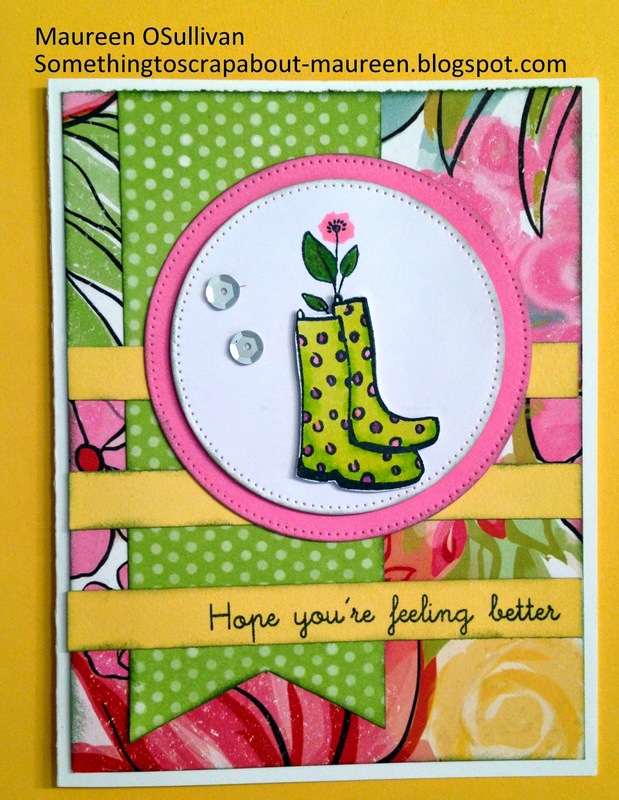 The flower is also from the Rainy Day stamp set. To create the card, a MFT sketch design came in handy. If you click here, you can print out all of their sketches, pin them, or refer to their blog. On one of the little yellow pieces of trim, I stamped the sentiment 'hope you are feeling better'. The sentiment came from the 'Rain or Shine' stamp set (D1634). The 'Rain or Shine' stamp debuted in the Seasonal Expressions volume 1 and is still available for purchase. Here's the raincoat and umbrella card again. So cute! 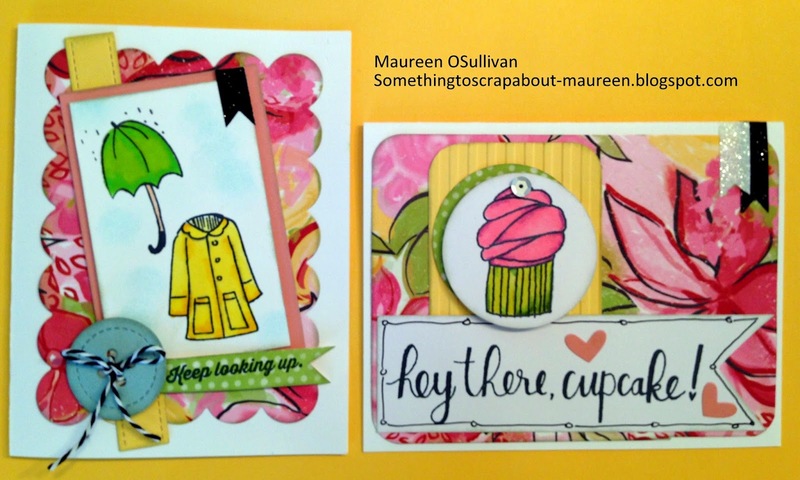 For the second card, I used the 'Rain or Shine' stamp set. 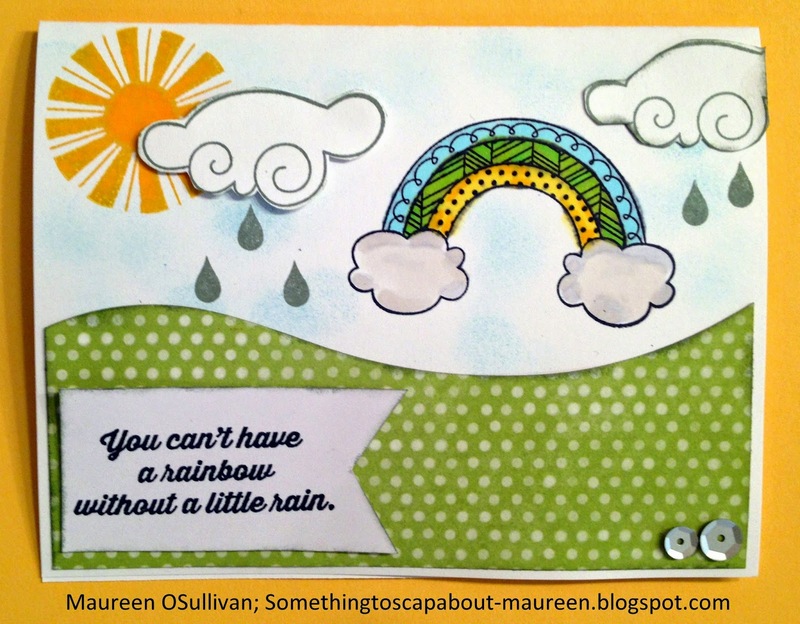 I just love the sentiment from the second card-- "You can't have a rainbow without a little rain". I think we all forget that with bad times comes good times! Here's the whole April ensemble of April showers. But remember, shortly after the showers comes the beautiful flowers! I'll have more cards from 'Brushed' in the upcoming days, along with a card class. 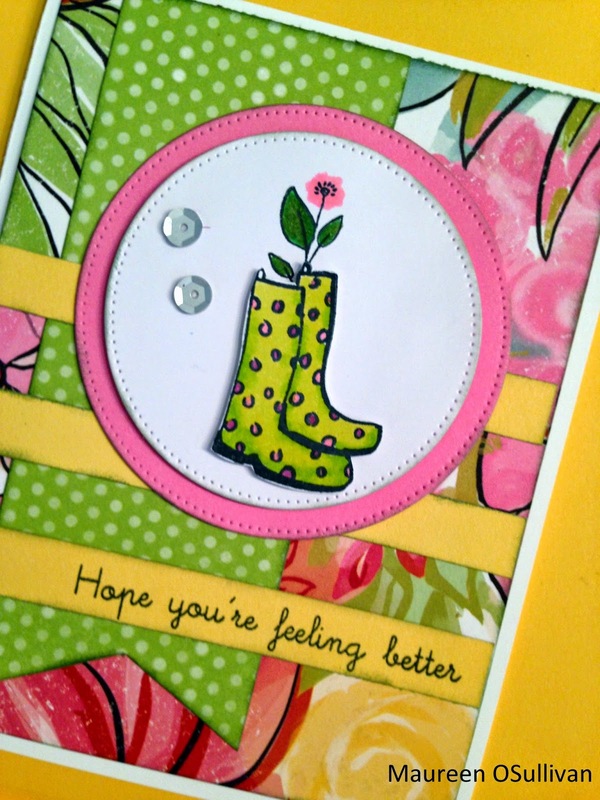 The first card is for a friend who recently had knee surgery. Times are tough now, but "keep looking up" because good times are ahead! 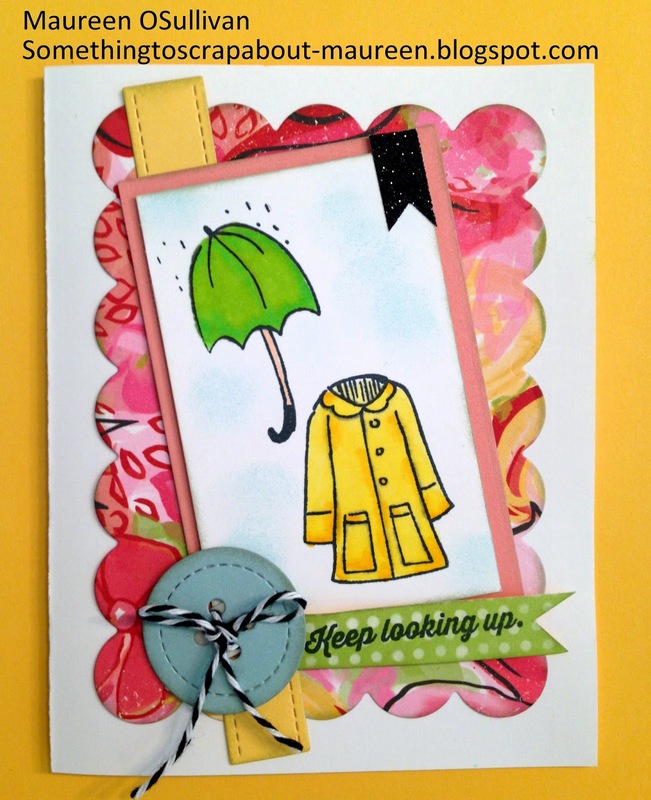 The stamp set, Rainy Day, is from the current catalog and is only $13.95. To color the images in, I used CTMH's ShinHan makers. For the design, I used a modified My Favorite Things (MFT) Sketch. The second card was created using the December SOTM. 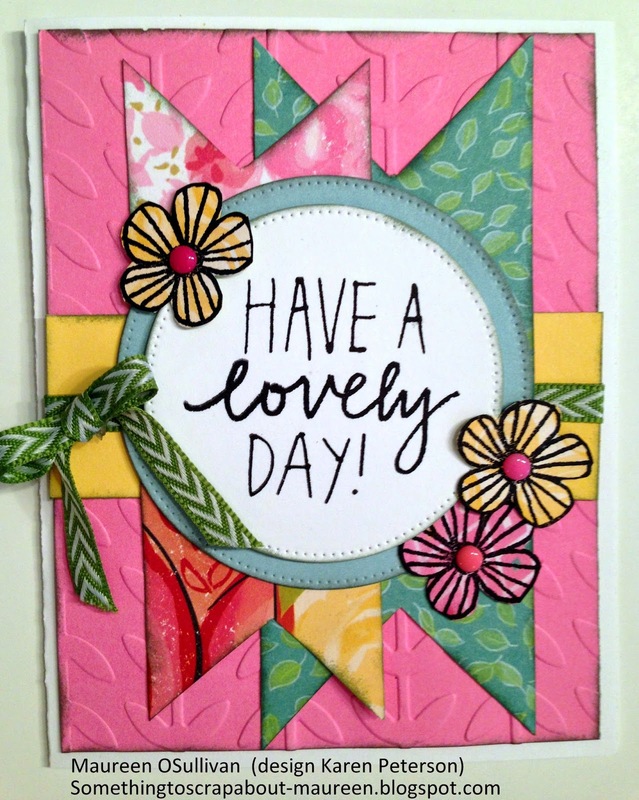 I designed this card as a Make/Take for a recent crop. I still have extra sets of this stamp available for sale. So please let me know if you'd like to purchase it at a discounted price. I used the CTMH's Marvy journaling pen to doodle on the sentiment. 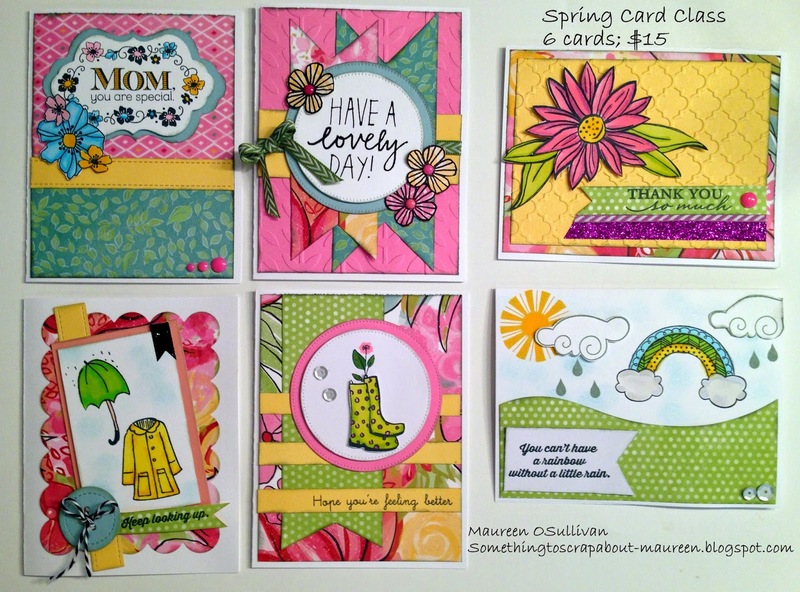 Above are both cards-- very spring like for a spring day! Thanks for stopping by! If you'd like to make these cards and need the supplies, please let me know. 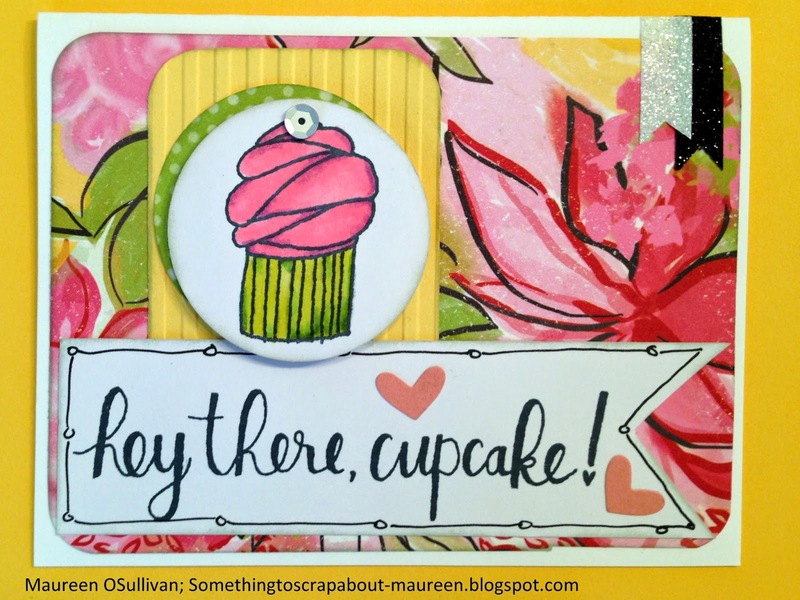 Hi, welcome to the CTMH's Seasonal Expressions 2 Blog Hop! If you've come here from Shalana's Blog, then you are on the right path. Should you get lost along the way, please click HERE for a list of all the blog hopper's names. 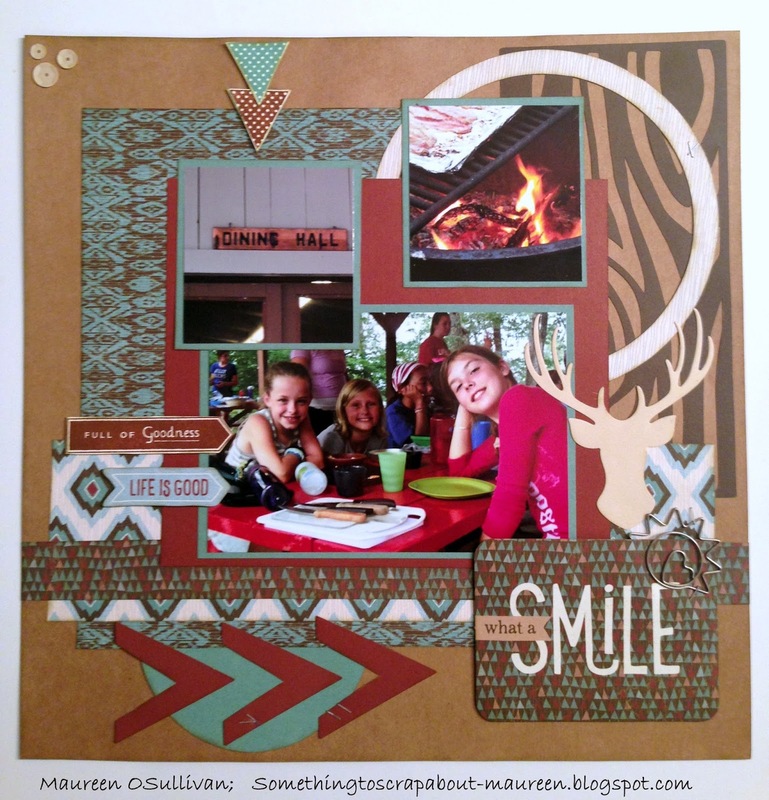 The Seasonal Expressions catalog comes with 2 new paper lines: Bloosom and Jackson. 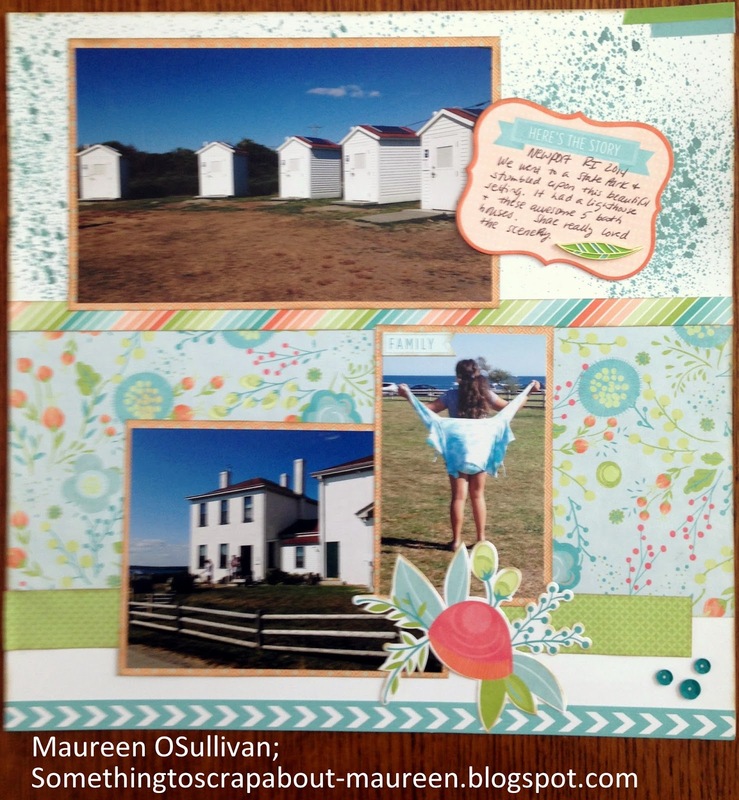 Bloosom is full of spring colors and chose to use paper pack to document a trip to Newport Rhode Island. To cut the sun, I used CTMH's Artbooking Cricut cartridge. I made an overlay and then hand cut off the ends. For the ink, I randomly sprayed on some light blue ink to give it a look of sky behind the sun. The little white buildings are actually bathrooms! They remind of little white cottages in Wellfleet on Cape Cod. Well I hope you enjoyed this LO. Please be sure to visit all of the consultants blogs. Next up is Melissa and her work is outstanding. Here's the link: Blog. 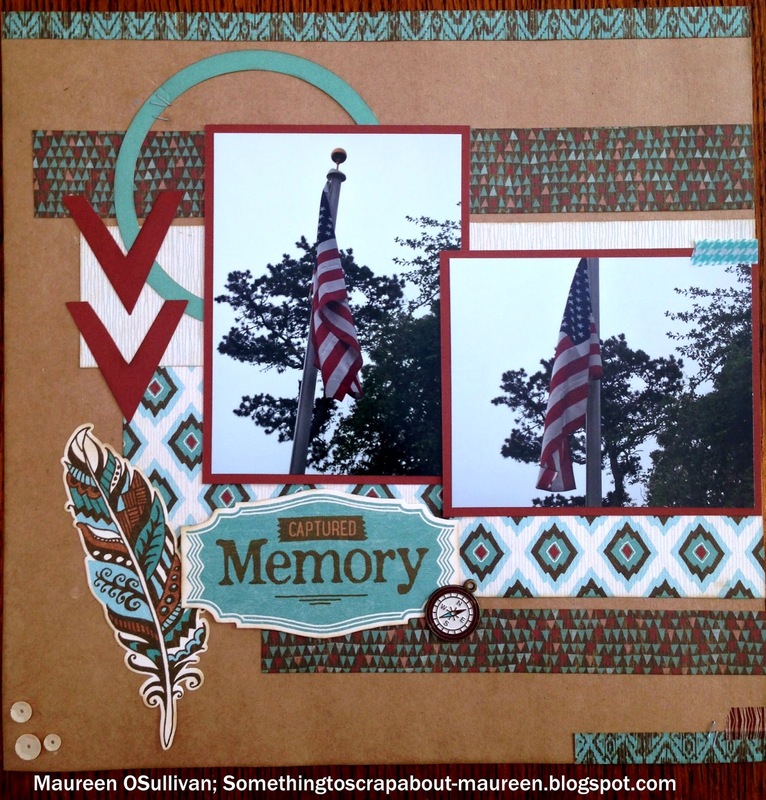 Hello, I'm here to share a recent scrapbook blooper and mishap. What is this you may ask?? Well its scrapping an event and things just get mixed up, a bit. 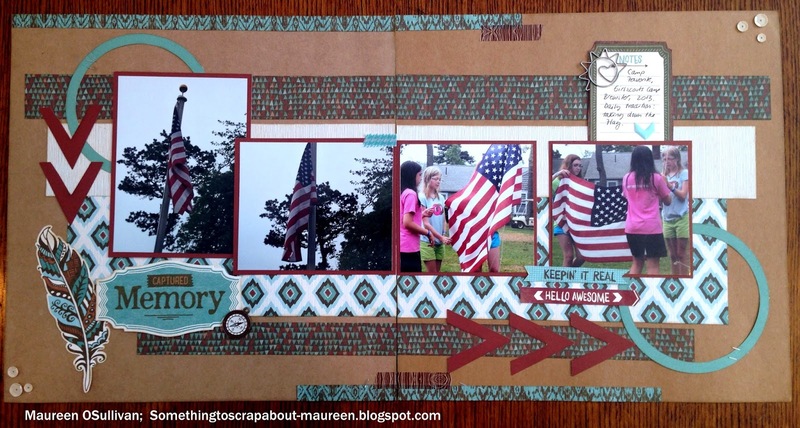 I recently attended a scrapbook retreat. When I get home my daughters always look through my completed pages. I was very proud of the 2-page LO below because it documented my youngest daughter's week long stay at Camp Favorite on the Cape. Plus, I used CTMH's recently debuted paper line-- Jackson. 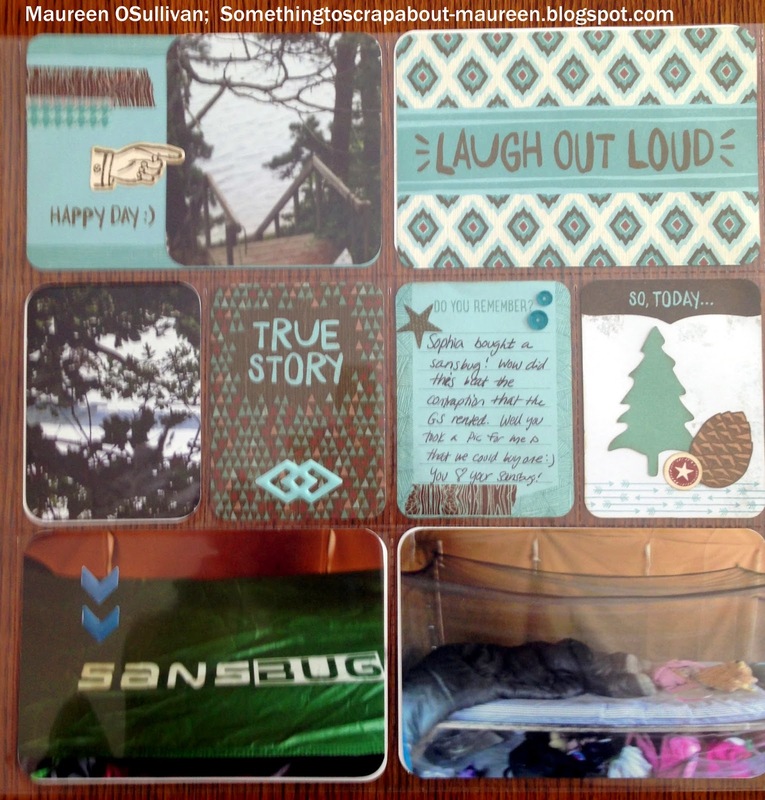 Last fall, I went through these pics, along with other camp pics, with my daughter. I learned that Camp Favorite was not her favorite. Her favorite GS camp was Camp Wind in the Pines. 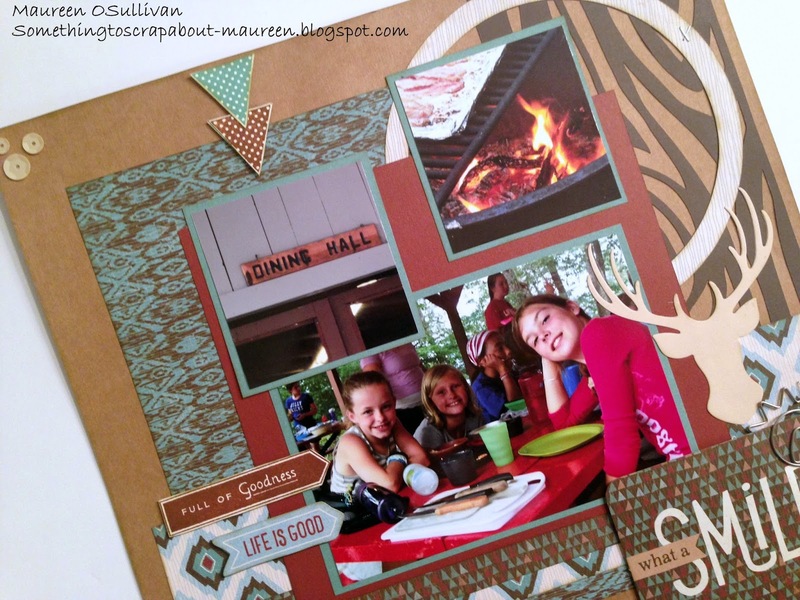 We separated the camp pics-- or so I thought! Below is a LO showing a daily tradition of lowering the flag and folding it. I remember Abby telling me that she liked the raising and lowering of the flag activities. Nice LO-- I like it. Pic showing the flag in evening sky. The pics of flag coming down and girls folding it. I also added some journaling, arrows and washi. Perfect. Well, apparently the flag is being risen!! I'm like Abby are you sure?? It's pretty dark. She's like 'yes it was rainy that morning'. I'm like what about the girl with the wet hair? It looks like she was just swimming? Abby said no, that is so and so and she took a shower in the morning. Looks pretty dark to me! Sure it's morning??? Yes, it's morning mom. Girl Scouts taking down or putting up flag?? Mom, they are putting up the flag!! 1. I can leave the history as written, after all, this happens all the time-- right!? 2. I can use un-do and re-arrange pics. 3. Or, I can put a note in there saying-- sorry, mom messed up, follow arrows backwards. I just love these little journal cards! The cards are the same colors as the paper pack, but have different designs. Okay: problem with this page-- the sky scenes are from Wind in the Pines, not Camp Favorite!! Here's another 'Picture My Life' page. I'm happy to report that I got this one right! I guess 1 out of 4 isn't so bad! The point of sharing these bloopers with you is that they can be easily fixed. And they demonstrate that we are not perfect. 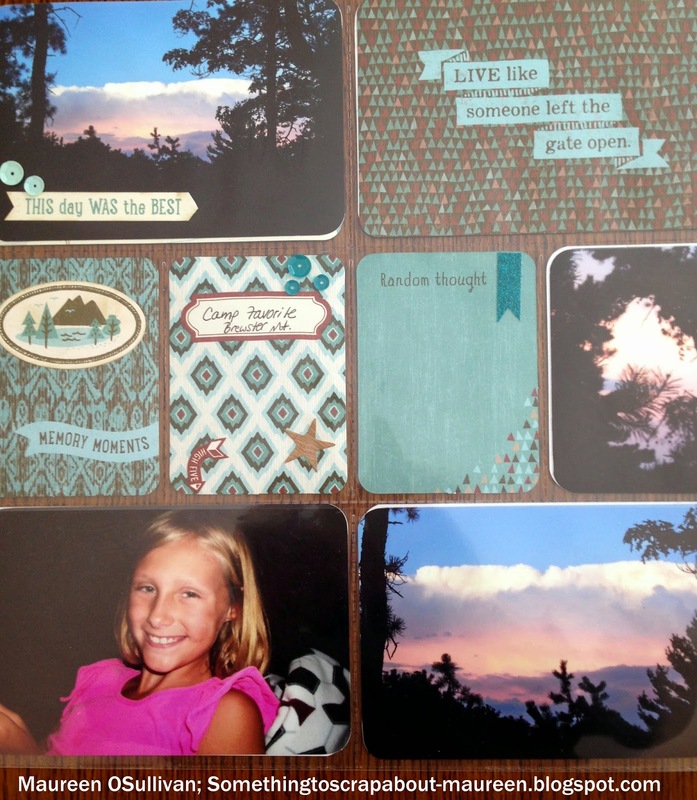 I tried to do everything right-- I sat with my daughter and separated the pictures, but I messed up. Even if keep the LO as is and put a cute note in there telling my daughter of the mistake, she will laugh and smile because she knows me-- she knows I tried to capture these memories for her (however foggy my mind is at times!). Hello, if you live in Massachusetts, please be sure to sign-up and attend our 12-hour crop on April 11th in Norwell from 11 am to 11 pm. We have 30 crafters joining us and room for more. The cost is $55 and includes lunch, dinner, snacks, give-aways and large prizes! Below are the classes that we'll be offering at the crop. Please sign up ahead of time as the kits are pre-cut. 2. 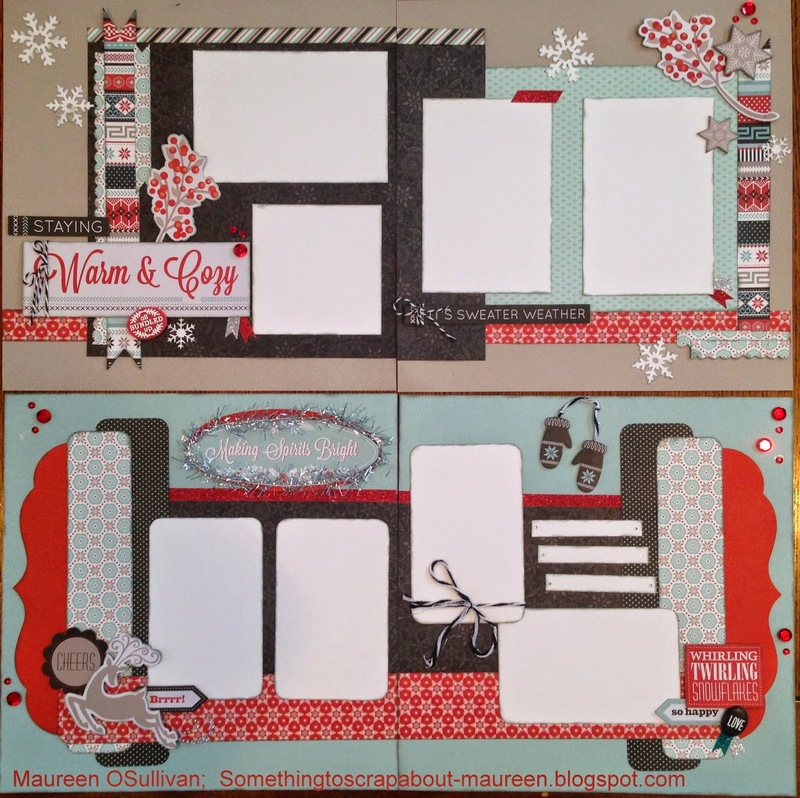 Two 2-page LO using CTMH's Showhaven line. 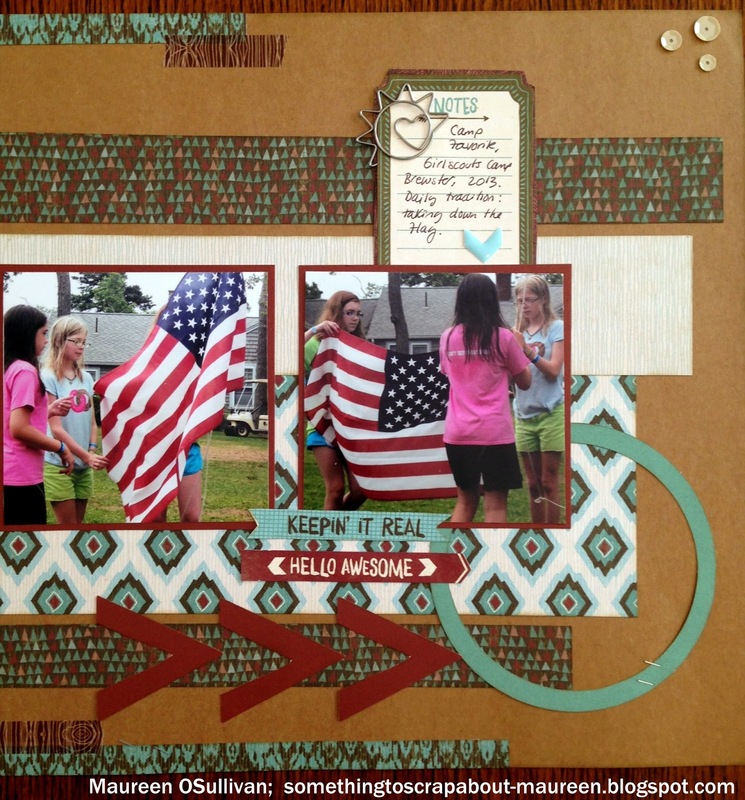 Cost materials only-- includes one full paper pack (12 sheets), 1 full chipboard pack and other embellishments. Kit is pre-cut. 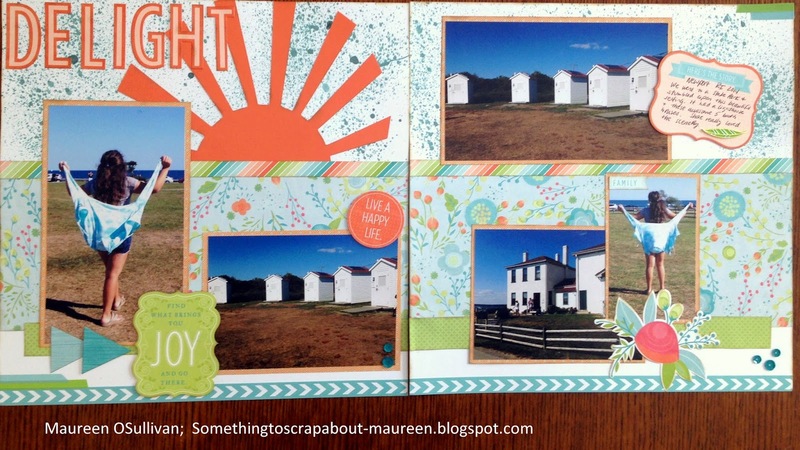 Love to scrapbook but need help putting more pictures on a page? Learn how to use flip/flaps!